Serving the Prince Georges County, MD Area! 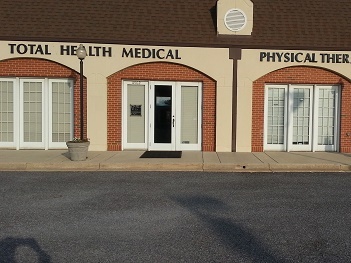 Our office is conveniently located in Waldorf, MD on Leonard Town road, just north of Thomas Stone High School. We accept walk-in’s, however we encourage you to call ahead, minimizing your wait time and to get details of any documentation you may need to bring with you to make your certification fast and easy. Pass Your DOT Medical Exam! Dr. Lipsitz knows how important it is that you continue your livelihood as a commercial driver. With his extensive knowledge of the DOT Physical Exam medical guidelines, Dr. Lipsitz will steer you through the DOT Physical Exam requirements so you can Keep on Truckin’. Looking for a DOT Physical Exam or CDL Physical Exam near Prince Georges County, Maryland? You’ve come to the right place! Please see the important driver links below for more information.Want to know more about the DOT physical exam? (Click Here) to access the FMCSA CMV Driver Fact Sheet regarding the DOT physical exam. Dr. Edwin L. Lipsitz has been a National Registry Certified Medical Examiner providing CDL and Non-CDL Physical Exams for drivers since 2014. He is a graduate of University of Michigan, College of Pharmacy and National College of Chiropractic. He has been in practice since 1992 serving Maryland and Pennsylvania. Dr Lipsitz says his first duty is to educate and help others prevent injury and disease. He knows how to help guide you safely thru the medical requirements so you can Keep on Truck'in!